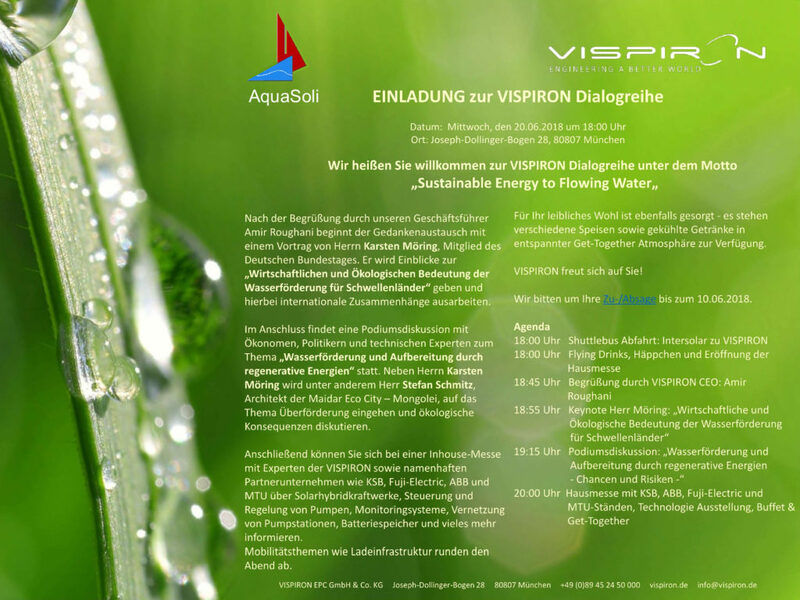 You are cordially invited to Vispiron Evening Dialogue! AquaSoli attends with its booth team including CEO Juergen Schmid. 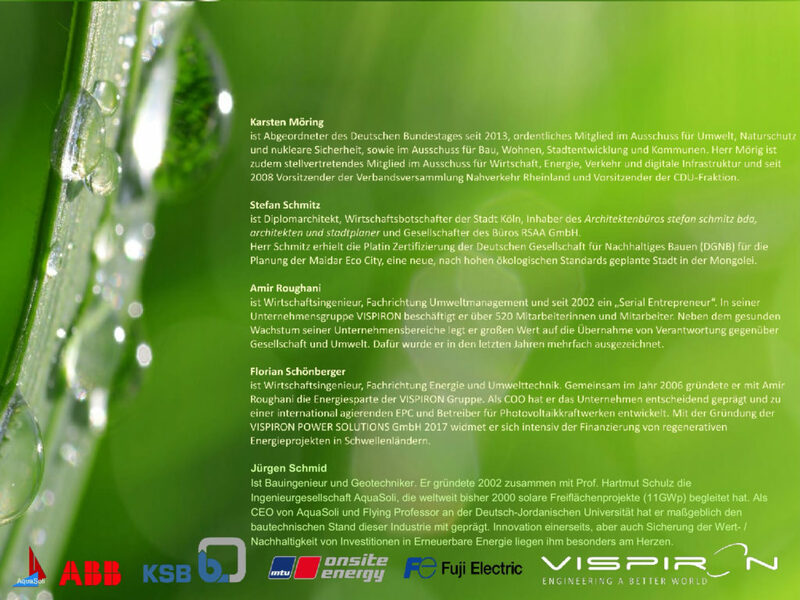 This entry was posted in Promotional, Risk mitigation by aquasoli. Bookmark the permalink.